Editor’s note: Point Blank’s Brian Erni sat down with Islanders forward Matt Martin to discuss the team’s move to Brooklyn, opening up the building against the Stanley Cup champions and the launch of his new hockey camp for kids 7-14 years old that will take place August 24-28 on Long Island at Twin Rinks. 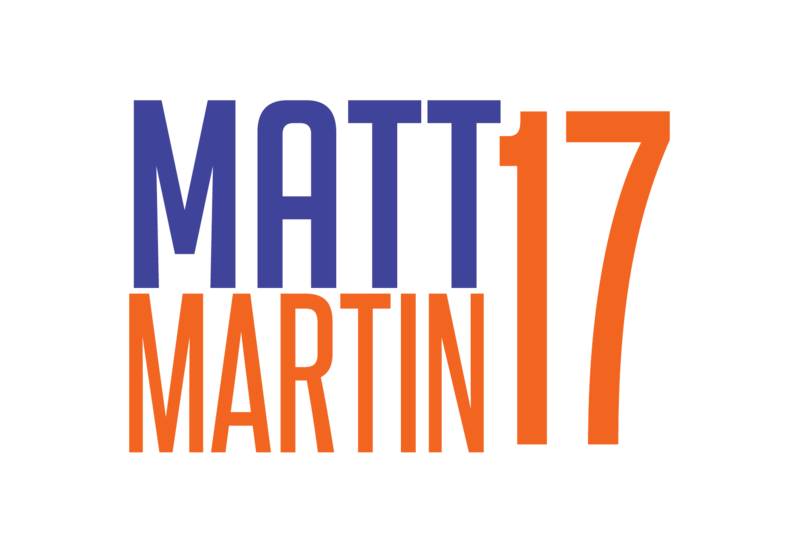 Brian Erni: This summer, you’ll be launching the Matt Martin Hockey Academy. Tell me a little about it and why you decided to launch your own camp? Matt Martin: As a hockey player in the summer, you work out in the morning and then you have the whole day to yourselves. I thought it was a good time to kick-start something like this, and hopefully it’s successful. I’ve been here with the organization, this will be my seventh season coming up, and for a while now, I’ve been talking about getting involved in this community during the summer. Especially now, the last three years, I’ve stayed in the area the whole summer. BE: Over this past season, it really seemed like the team made a point to show how connected you all were to Long Island and the fans here. Would you say this is a way to show the Long Island community how invested you are in the area? MM: Yeah, I think so. Long Island is still our home. I think it’s always going to be a huge part of the New York Islanders. With the move to Brooklyn, obviously it’ll be a little different. I think we’re excited for the change, but at the same time, it’s disappointing to leave. I know the team wants to do a lot of things in this community to keep the fans out here involved, so hopefully we can keep that connection, and one way is doing a hockey camp like this. BE: As far as pro athlete camps go, a lot of times the athletes can be sort of aloof, maybe check in for an hour or two for one day, then leave it to other instructors. I hear that you’re very hands on with this and the Academy won’t be like that, correct? MM: Yeah, I’m going to be there as long as the kids are there. I’m going to be there the full days. You want to have a connection with the people who are paying a pretty good dollar for this event, so you want to do all you can to make it a special one for the kids and make it everything you advertised. During the summer time, we train in the morning, we skate, and then we have a full day ahead of ourselves. So I think I can commit a week out of my schedule to make sure I can be one-on-one with these kids and give them any tips along the way that I can. BE: Walk me through the postseason series with Washington, specifically Game 7. Now that you’ve had two months to reflect on it, what do you think did you guys in that night, and what do you think the group learned from it? MM: It was obviously a disappointing finish to the season, and a disappointing game in general. It was a hard fought series, and it was a great series to be a part of. I think it was one of the most physical series in the entire playoffs. We still have a very young group, and a lot of us haven’t been in that situation. You hope that, next year, if we’re in that situation that we respond better. Things weren’t going our way in that game and, at the same time, we were 1-1 late in the third, and it felt like we’d find a way to pull it out. BE: Obviously, the Isles have a new exciting era waiting in Brooklyn. It was just announced today that you’re opening up your home schedule against the Blackhawks. How do you feel about opening up at home against the Stanley Cup champions? MM: It’ll be good, I think. Obviously, they’re the best team in the NHL, so they have a special thing going on. It’s a new arena, a lot of excitement, and it’ll be a good challenege, because there’s no team better than the Chicago Blackhawks right now. BE: You guys had one of the biggest home ice advantages in the league last year. Do you think the fans can carry over that atmosphere to Brooklyn? MM: I hope so. I think that’s the thing we’re going to miss most about the building. In previous years — I’ve been here a long time — the building wasn’t like it was this season. It was absolutely insane. I haven’t been in a louder building. I’ve never been in a better atmosphere. [The fans] definitely were a big part of that home record and the success we had in our building. You certainly hope and pray that we’ll have the same atmosphere at Barclays Center, but time will tell, of course. I really hope we still have a sold out building, and a lot of those passionate fans can still make it. BE: Finally, you’re a pretty stylish guy, so I’m sure you’re interested in the new third jersey you guys will be wearing next year. Have you seen it yet? If so, without revealing too much, can you give the fans a hint at what we’re in for? Rumors are it’ll be black-and-white. How do you think will look on the ice? MM: I haven’t seen it, but I am very anxious to see it. I think black-and-white is a good look. Obviously, we’re staying with the Islanders jerseys, which is a beautiful jersey, so I’m glad were not changing that. But having a third jersey that changes the colors is always kind of cool. I’m a fan of the Brooklyn Nets jersey. If it’s going to be black-and-white, I imagine it’ll look similar to that. Time will tell, but i think it’ll be a good look. A big thanks to Matt for sitting down with me. Space is very limited for the Matt Martin Hockey Academy, so act quickly.